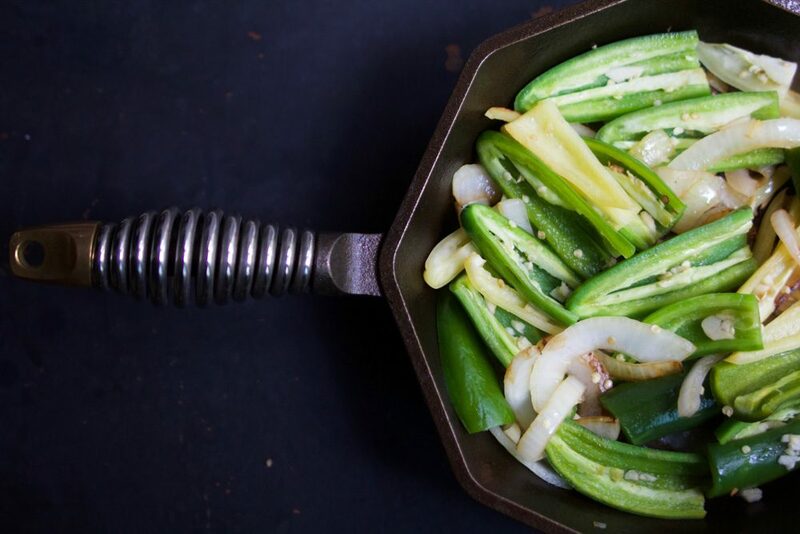 Spicy Cast Iron Salsa Verde | FINEX Cast Iron Cookware Co.
For those who love to turn up the heat, grab your FINEX cast iron skillet and spice up the week with this delicious salsa verde recipe from our friends over at Bare Bones Broth. 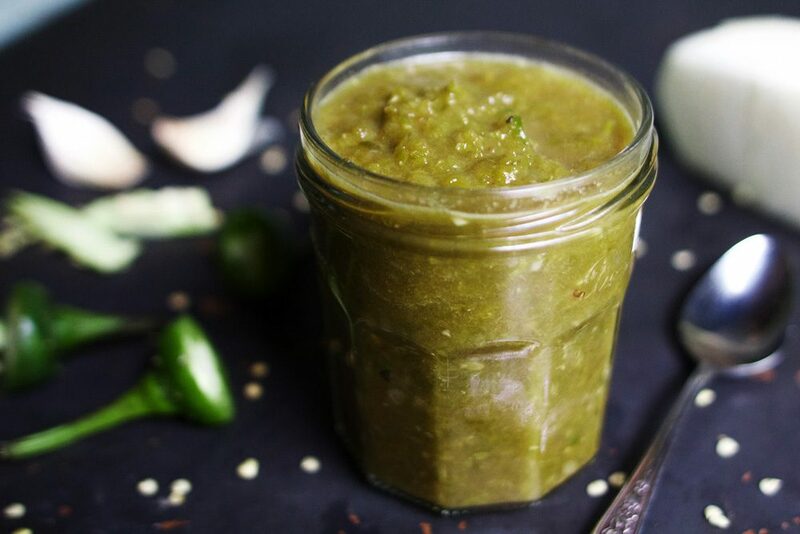 Mexican salsa verde is traditionally made with tomatillos and is much milder than most hot sauces. Drizzle this simple and delicious salsa over chicken, pork, morning eggs, tacos or serve it up with your favorite tortilla chips. In your FINEX 12-inch cast iron skillet, over medium-high heat, heat the coconut oil or ghee. Add the onion. Stirring occasionally, cook for 6 to 8 minutes until the onions are translucent. Add the chiles, jalapeños, garlic and sea salt and cook for 5 minutes. Add the Bare Bones Chicken Bone Broth and bring to a simmer. Lower the heat to medium and let cook until the liquid has almost evaporated, about 20 minutes. Transfer the mixture to a blender or food processor and blend on low speed. Slowly drizzle in the vinegar and puree until smooth. Transfer the salsa to a jar and refrigerate until cooled. Portion the salsa into small glass or plastic containers and keep one in your refrigerator. It will keep for up to 2 weeks. Freeze the remaining containers for up to 1 year and thaw as needed.